Orange Romania is the first Orange Group subsidiary to launch the Orange TV stick, following a trial period with end-users. The stick brings films, TV shows and TV programmes from Orange TV Go to users’ TVs and transforms smartphones or tablets into remote controls. Through Orange TV Go, customers can watch up to 75 TV channels, of which 20 are in HD format, as well as over 500 movies and TV shows. With the stick and the Orange TV Go and stick Orange TV apps available at no cost in the Play and App Store stores, the content can be displayed on TVs. 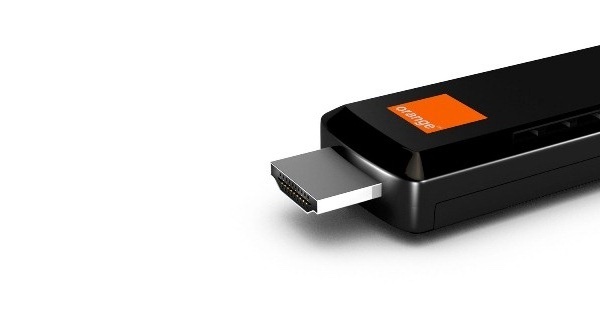 Compatible with TVs that have HDMI ports and a Wi-Fi connection, the Orange TV stick can be used by Orange TV satellite or mobile subscribers. Customers who have a mobile subscription or a Local HD or Local HD+ TV subscription can acquire the Orange TV stick for EUR 40. Until 31 August, they will receive access to the World HD Go add-on at no extra cost. Customers subscribed to World HD, World HD+, Universe HD or Universe HD+ can acquire the Orange TV stick for EUR 16. Until 31 August, World HD and Universe HD subscribers also receive access to the Movie Go Unlimited for seven months at no additional cost. Also, internet traffic on Orange TV Go is offered at no additional cost to all Orange subscribers until 31 July.